The “3rd Bogor Update in Internal Medicine Symposium” event was held on 20-21 April 2013 ago. Takes place in the “IPB International Convention Center, Bogor Botanical Square, this prestigious event presents two prominent speakers, namely Dr. Todung Silalahi SpPD-KKV.FINASIM who gave a presentation about “The Related of Free Radical and Cardiovascular Disease”, while Dr. Erwin SpPD.FINASIM delivered a presentation about “The Role of Astaxanthin for Free Radical on CVD”. 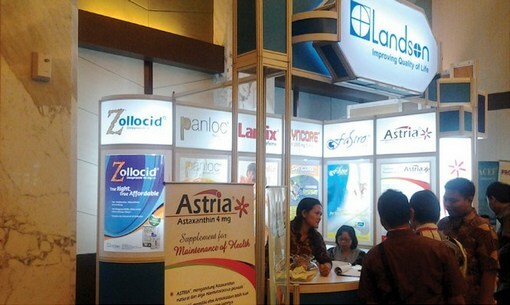 On this occasion, Astria, as one of quality natural products from Landson – PT Pertiwi Agung, also participated. Astria Booth not only visited and crowded by the participants but also won the title as the Best Booth of committee and participant choice, beating 24 other exhibitors. Congratulations Astria!